Breaking News from BBC: Owen Patterson has just announced that the Badger Cull WILL go ahead this year in June 2013. We must mobilise harder than ever to protect our beautiful badgers from this senseless slaughter ! 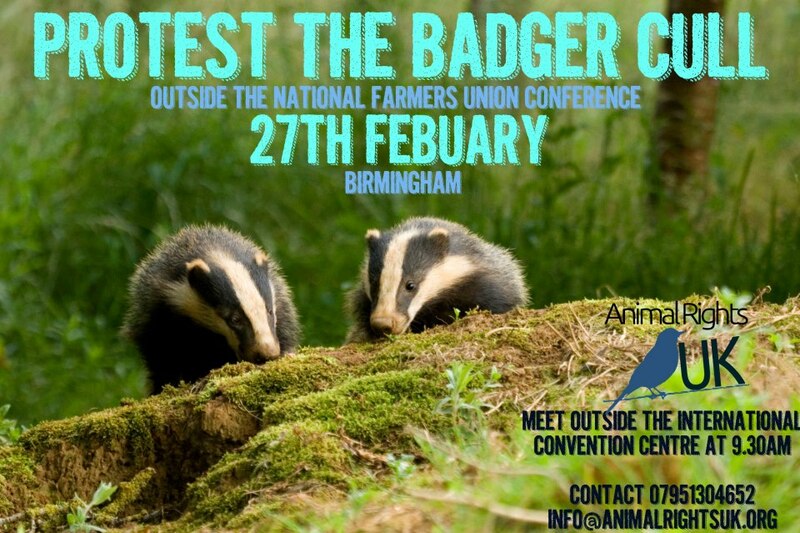 It is VITAL everybody & anybody attend this protest outside the National Farmers Union Conference esp now the badger cull IS going ahead this year. Get making those banners, get your travel plans arranged & get to this demo . It’s might just stop the cull from happening if enough people turn up and voice their opposition to this senseless slaughter of our wildlife. STOP THE CULL. This entry was posted in Badger Cull and tagged Badger, Badger Cull. Bookmark the permalink.